We have all got used to Instagram as a primary source of cat photos, food shots and selfies, but it’s not as simple as it may seem. Well, we can’t argue here, cats are good, but there is so much more to it! Don’t count this social network out, because you can use an Instagram account as a part of your recruitment strategy. The answer to the question “why?” is as simple as the question itself: it’s popular. Instagram market share has been growing steadily, while the number of active users is increasing on a monthly basis. Impressive, isn’t it? Your Instagram profile is a ready-made tool for recruitment, and there are many ways to leverage it. Here at WISP, we give you some advice on how to do it exactly. – Give some visible shape to your job offer. First and foremost, use Instagram for the two things it’s designed for: images and videos. Draw a poster by hand or using your preferred graphics software. It’s all easy: add your contact information and a link to a job description, and give some details about the job itself. You don’t want to fill the image with details, though: keep it simple so you won’t scare your candidate off. – Tell your followers about your company. Got some photos from your company’s New Year party? Good. Or perhaps you have a dog in your office? Excellent. Weird-looking mug? Lovely! Just post those bits from your company’s life, but try to keep it simple and show your human side. – Build brand trust. Instagram is not the place for technical or written stuff; we’ve got better places for that. But there is an advantage to informal talks – you can tell people that your company is awesome and show them some proof. Let us repeat the previous advice (it won’t hurt): show people your human side. – Quality over quantity. You’d better be good with conviction – photos of your office plants (in a row) may look nice, but it won’t do any good except increase your post count. Don’t lose your brand connection, and post only quality photos – that’s the direct route to success. – Try searching for passive candidates. Hashtags are surprisingly useful tools when it comes to easing the lives of all kinds of managers working with social networks, and Instagram is no exception. Search for users who might prove useful for your company, and leave a like and comment if you have to. – Use hashtags. Well, here we are again. Hashtags work both ways: you can use them to search for the data you need, as well as make them work for you so people can find you. Which ones to use? It depends on you and your brand, as well as on the goals of your promotions. – Don’t leave it hanging. It sounds comparatively easy to buy a few stock photos, add a couple of shots from your office and leave it to collect subscribers. It does not work this way, though! People don’t want to see something old and standard they are always up for something new. They are curious to see your company growing and breathing! That’s the secret of celebrity Instagram accounts: they allow mere mortals to peek into their lives behind the scenes so their subscribers feel engaged. – Show ’em how it’s done. Show your potential candidates what exactly they can do within your company. – Work around your scale. It also depends on your brand size. If you’re a small business, there is nothing for you to worry about. However, that’s not the case for huge brands, so it may be wiser to create a separate account for the recruitment process. – Doing it right. First of all, give this some thought: do you actually need Instagram? 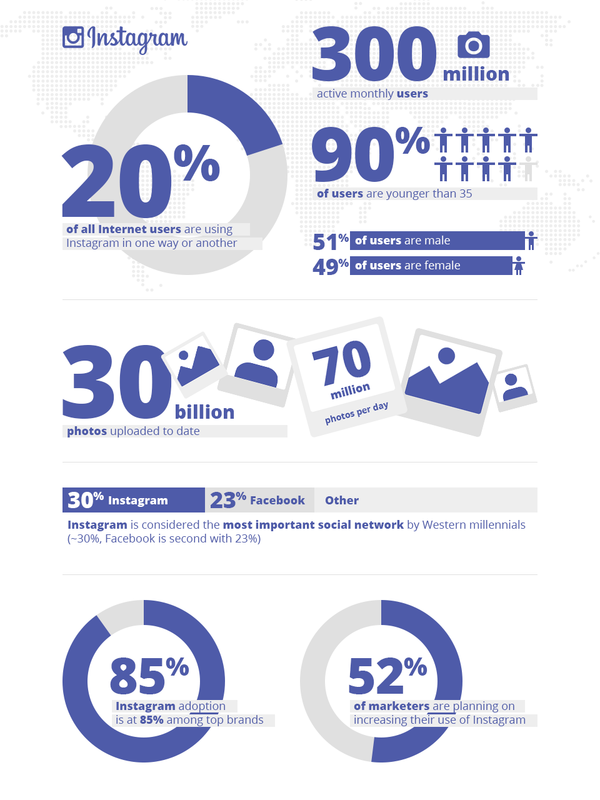 There is a possibility that your target audience won’t fit into Instagram demographics. If you’re looking for a 40-year-old professional with 15 years’ experience in microbiology, no, we doubt you’ll find them on Instagram. The same goes for photos – don’t post your broken office chairs, because it won’t do you any good. Whichever way it goes, Instagram may serve as a good tool for recruitment and allow you to create a positive image for your brand along the way. It is a good starting point for headhunting, as well as a brand trust building machine, due to its informality. Even considering the fact that Instagram is aimed at millennials who live in the digital world, this social network is a tool that may come in handy during your recruitment process, especially for creative industries.